Icewind Dale II improved on the original formula with another epic role playing game that makes use of real time party based combat. Set within the Forgotten Realms D&D landscape you’ll be exploring the northern part of the continent, taking 30 years after the original. This journey starts in the harbour town known as Targos that is currently under siege by a goblin army. Players find themselves here as they are part of the large number of mercenaries that have recently been hired to defend the city. After a successful defence of the city you go on the offensive while also uncovering the reasons behind the attacks in the first place. 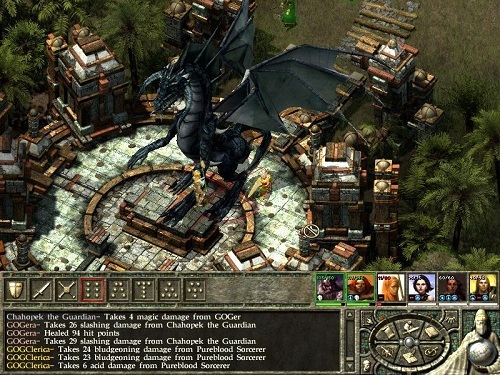 The base of gameplay is the D&D Third Edition ruleset with some small changes, most notably though the game plays in real time using an isometric perspective. 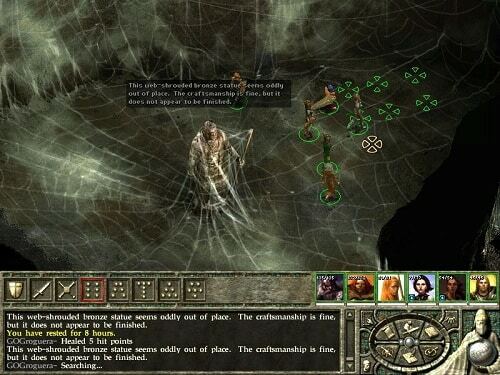 Icewind Dale II also features branching dialogue options, multiple difficulties and hundreds of items which drop randomly from enemies. Starting this adventure requires players to build their team of heroes which supports up to six characters. Each of these can be customised for class, attributes, alignment, race and visual options. This allows players to create their own adventure right from the get go with these choices having a great RPG ripple effect on the availability of choices down the line. While you do have plenty of decisions to make combat is the heart of your Icewind Dale II journey. This is by no means a bad point either with a solid real time game game that takes D&D out of the turn based environment. For those that still want the slower pace though you can pause and issue orders. Despite the age of Icewind Dale II it still stands as one of the best in the party based adventures. The second high quality game in the Icewind Dale series. Create your own party of 6 adventurers. Real time combat with D&D rules behind the scene. Rich story and game world with many choices to make.